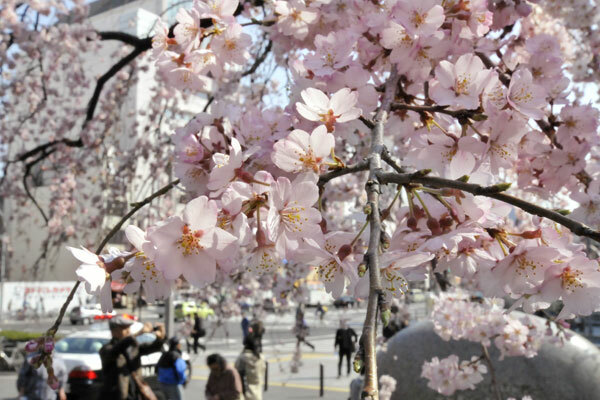 AMERICANS celebrated the beauty of Washington’s landmark pink cherry blossoms, but also had at heart the tragedies which jolted Japan on March 11. People come to Washington D.C. to show their support. 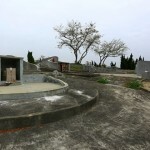 I think many people have a lot of friends, students affected by Japan earthquake. One visitor, Chris Hudler, a 31-year-old soccer coach, said under one of the 3,000 trees donated by Japan, the first of which were presented to Washington USA as a gesture of friendship 99 years ago. 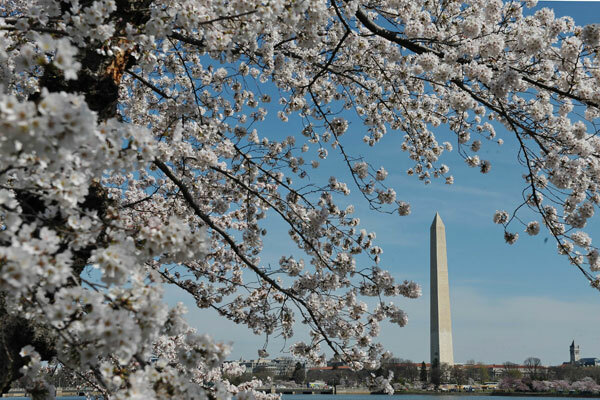 Cherry blossoms are seen in front of the Washington Monument at the Tidal Basin. Washington’s congressional delegate Eleanor Holmes Norton told hundreds at the ‘Stand for Japan’ ceremony on Thursday that ‘the blossoms will epitomize the story of the resilience of the people of Japan.’ As many as one million people are expected to visit the Cherry Blossom Festival from March 26 through April 10. Washington looks very beautiful during this festival. 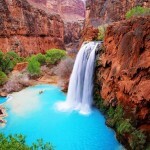 Check these photos out if you don’t trust me. 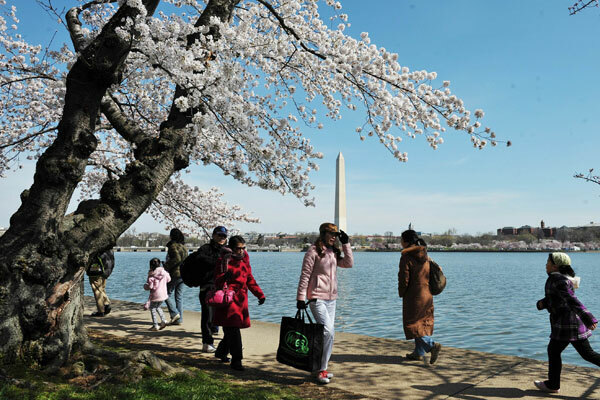 People walk under cherry blossoms at the Tidal Basin in Washington. 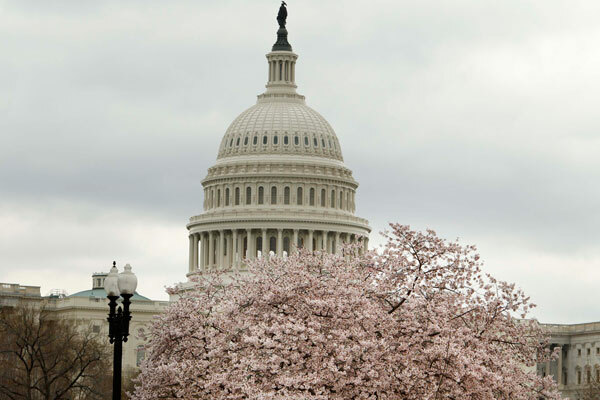 U.S. Capitol Dome is pictured behind a cherry blossom tree in Washington. 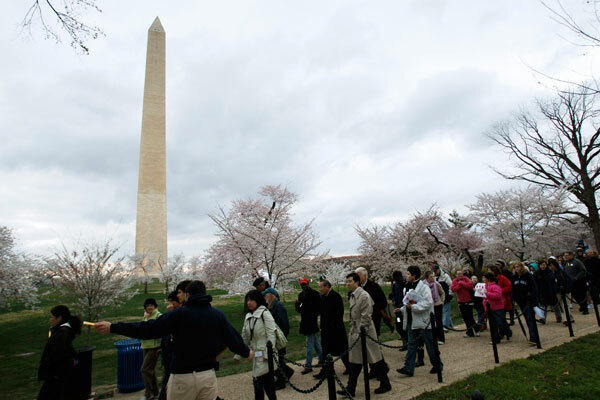 Participants march after attending the ‘Stand With Japan’ event in Washington. 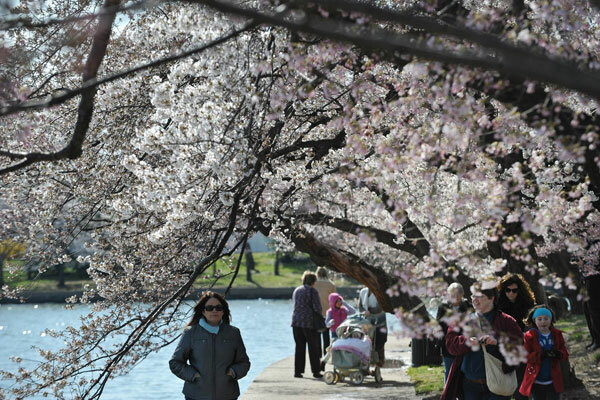 People walk under cherry blossoms at the Tidal Basin. 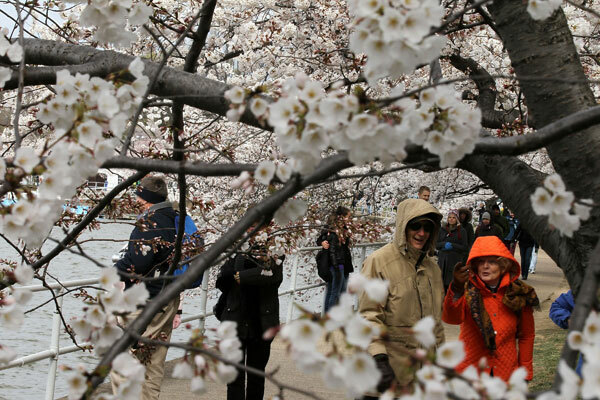 Tourists look at the blooming Cherry trees on a chilly day along the Tidal Basin. 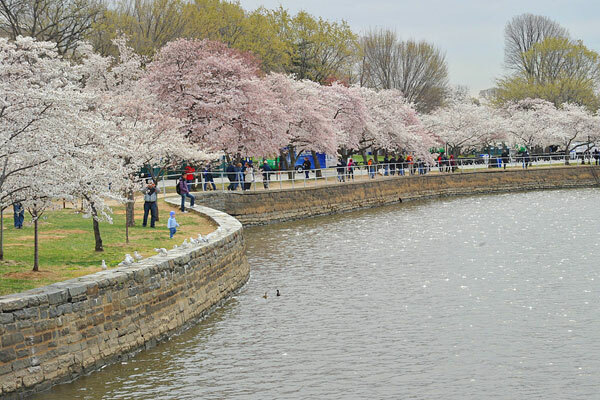 People visit Tidal Basin under the cherry blossoms. 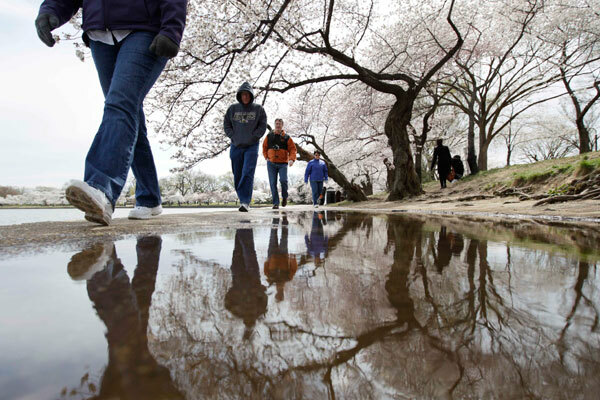 People are reflected in puddles of water under a canopy of blossoming cherry trees along Tidal Basin in Washington. 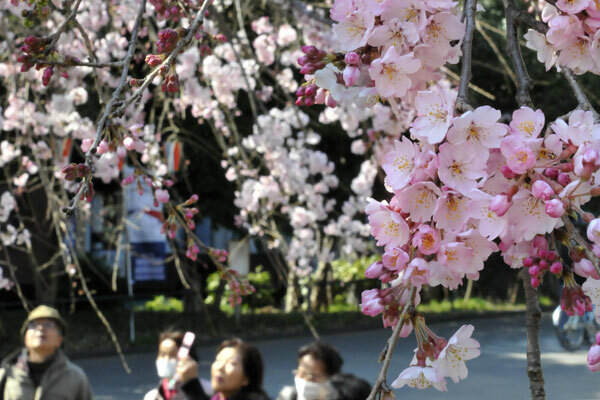 People admire cherry blossoms as they stroll in Ueno Park in Tokyo. Tags: Blossom, Cherry, Festival, Japan, Nature, Sakura, Tidal Basin, Urban, USA, Washington D.C.
Washington DC is so pretty when the cherry blossoms are open. I especially like to view the Tidal Basin (near the Jefferson Memorial) in one of the paddle boats. Festival is celebrate to all over world. Every country celebrate Manny types of festival and enjoyed so much. This depend our culture. That’s is a mean of cast and function. festival celebrated all over the country. this mainly depended our culture. 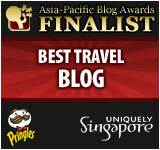 thanks for your reviews. 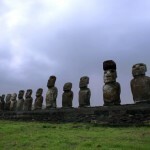 Nice this information learn about other country people culture. So good to find somebody with some original thoughts on this subject. Thanks for starting this up.